For most businesses today, Wi-Fi is a basic part of their IT network infrastructure. However, it’s also a serious IT security risk. Despite the convenience of Wi-Fi technology for businesses, its security doesn’t come by default. Partnering with a managed services provider in Orange County is important to shield your business from malicious Wi-Fi hacks. A weak Service Set Identifier (SSID) name and password spell doom for your Wi-Fi network security since they provide hackers with an easy exploit. To ensure that your Wi-Fi network is secure, you need to hide your SSID name and set a strong password that’s hard to crack. While these steps might appear to be ordinary security measures, they are quite effective in deterring hackers since most cases of Wi-Fi hacks depend on weaknesses in the configuration of Wi-Fi networks. Unlike your in-house IT team, a managed services company has the latest hardware, software, and the know-how to configure your Wi-Fi network and shield your business from the latest security threats. A managed services provider in Orange County can help you with the physical security of your Wi-Fi network devices and the secondary components of its infrastructure. 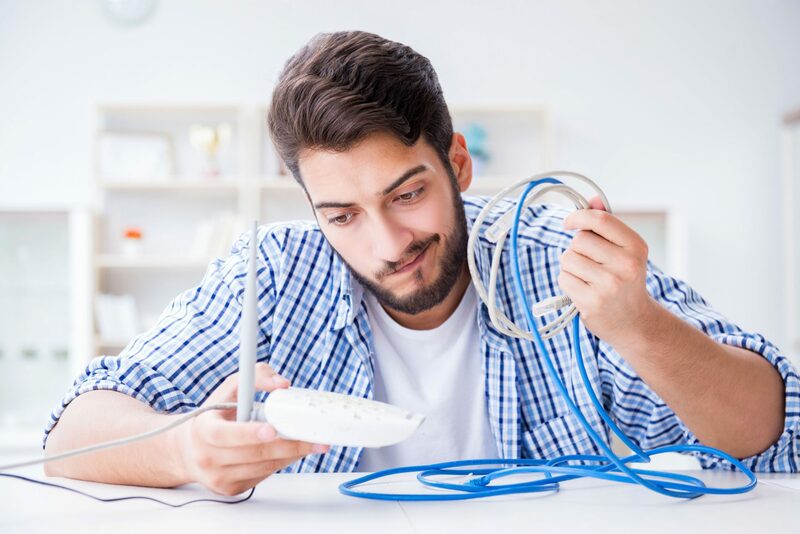 If a malicious hacker has access to any ethernet ports, they can easily override your network security features by plugging in an access point (AP) device and compromising your Wi-Fi networks. With proper network design and architecture, your IT security needs will no longer be a worry. Your IT service provider will also separate your Wi-Fi networks into sub-nets for guests and corporate employees— this limits access to users, preventing unauthorized access. By so doing, your Wi-Fi networks will become hard to hack. A strong IT network security strategy cannot be devoid of VPN infrastructure. You can easily configure a VPN server with the help of a reputable managed services provider. A VPN server is an excellent layer of security for your Wi-Fi networks that ensures your computer networks are protected from unauthorized access. In addition, a dedicated VPN server will also provide you with advanced tunneling and encryption features to mitigate any hacking attempts that could comprise your Wi-Fi networks. Implementing Wi-Fi IT security best practices is strongly recommended if you want to secure your IT networks from the prevalent threat of MITM attacks. At Technijian, we offer personalized managed services in Orange County to meet your IT security needs. Contact us today to learn more.